A look at Madame Élisabeth through the eyes of Henriette of Belgium. Henriette had long campaigned (albeit in vain) for Élisabeth to be officially recognized as a saint, and the book ends with a resounding appeal for her canonisation. As she explains, Henriette wanted Élisabeth raised to the altar, in order that she might be publicly invoked in prayers for the resurrection of Catholic France. 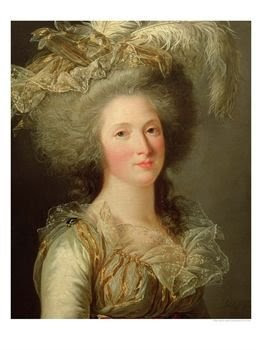 In writing her account, Henriette draws upon the surviving letters of Madame Élisabeth, earlier biographies of the princess, the memoirs of her niece, Marie-Thérèse-Charlotte of France, and the accounts of intimates of the royal family. Henriette supplements these sources with oral family tradition, based upon her ties of kinship with the reigning houses of France, Austria and Saxony. The result is a very powerful portrayal of the spiritual journey of a beautiful, intelligent and ardent royal lady. By nature stubborn and imperious, Élisabeth became, through faith, prayer and good works, a gentle, humble young woman of immense charity. The same strong will and high spirit that made her a difficult child rendered possible her constant striving for perfection. Denied permission, despite her attraction to the religious life, to become a Carmelite nun like her Aunt Louise, she took on the challenge of living the virginal, consecrated life in the world. Amidst the splendors and temptations of Versailles, no less, she managed to be a model of piety, purity and charity to the poor. Throughout court intrigues and betrayals, even within the royal family, she remained a loyal and loving sister of the King and Queen. Ultimately, she would attain a sublime degree of spiritual heroism amidst the horrors of the Revolution, inconceivable tragedy, cruelty and humiliation, and, finally, a brutal, bloody and untimely death. I noticed this book has no dedication, in contrast to others of Henriette's works which are very carefully and touchingly dedicated to members of her family (the last volume of Marie-Amelie's diaries that H. published is similarly lacking a dedication.) Curious. Was it too controversial a topic for H.'s relatives to want to be publicly associated with it? How blessed Their Majesties were to have had an angel like Princess Elizabeth at their side. I was always struck by the fact that Elizabeth never left the King and Queen. I am sure many a time she could have left France like her brothers Provence and d'Artois but instead chose to be with them throughout their ordeals. God bless Princess Elizabeth and may she be at eternal peace.